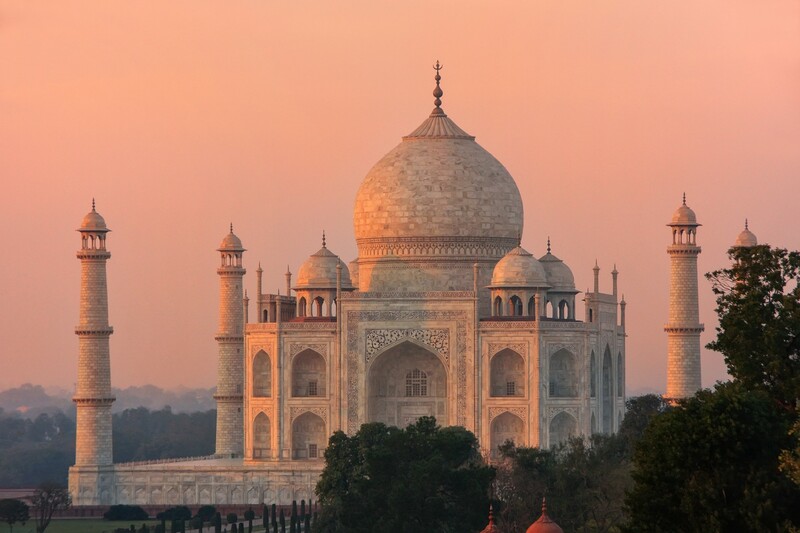 India’s allure is renowned and far-reaching. Complex and compelling cultural heritage, incredible scenery and a cuisine that packs a mouthwatering punch all add up to a brilliant destination for your next adventure. 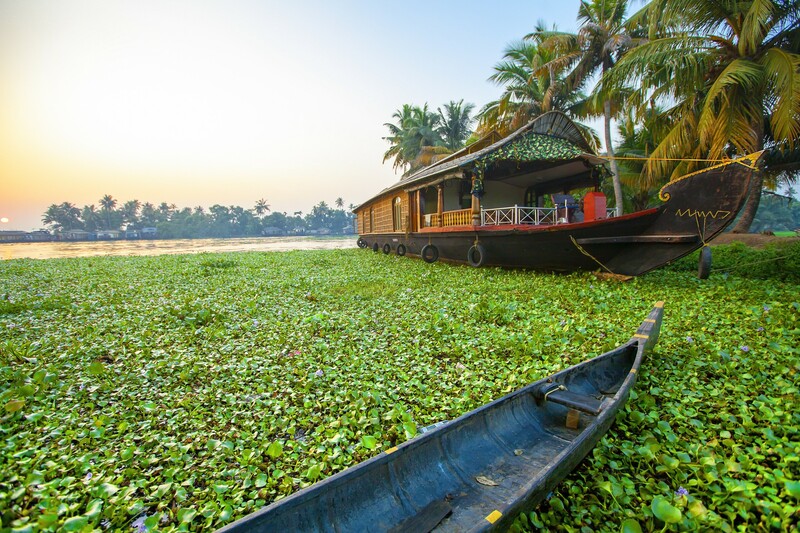 A nation of this size boasts a wealth of fascinating attractions, and high on the list for many visitors are the beautiful and historic cities of India. Here is a quick introduction to eight of our favourites. 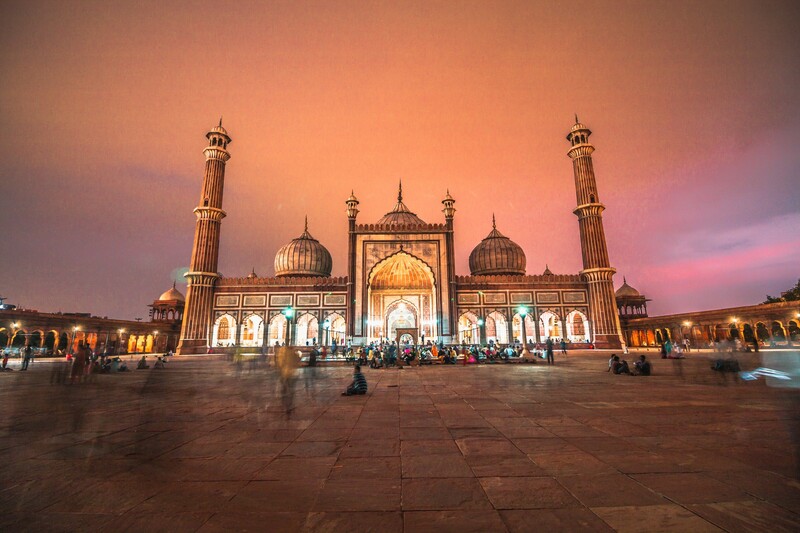 A thrilling introduction to India’s glories, the capital city can’t fail to captivate. Deeply spiritual and bursting with Mughal and Muslim heritage, the gateway to India has colourful markets, great dining and some beautiful examples of Indian architecture. Head to characterful Old Delhi to explore the famous Red Fort, the Jama Mosque, the biggest mosque in India, and bustling Chandni Chowk where you can scout for souvenirs among the honeycomb of shops selling everything from spices to saris. 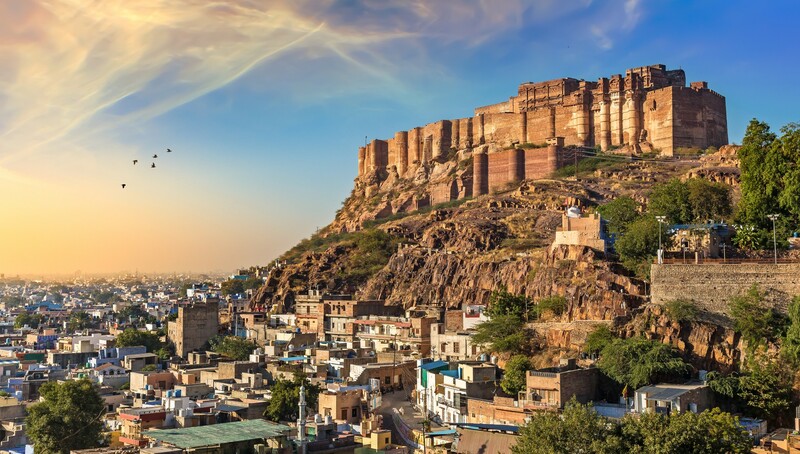 An arresting skyline greets you on approach to Jodhpur, where the magnificent Mehrangarh Fort lords it over the city from on high. This citadel is stuffed with sumptuous palaces and apartments, museums, courtyards and fortifications. 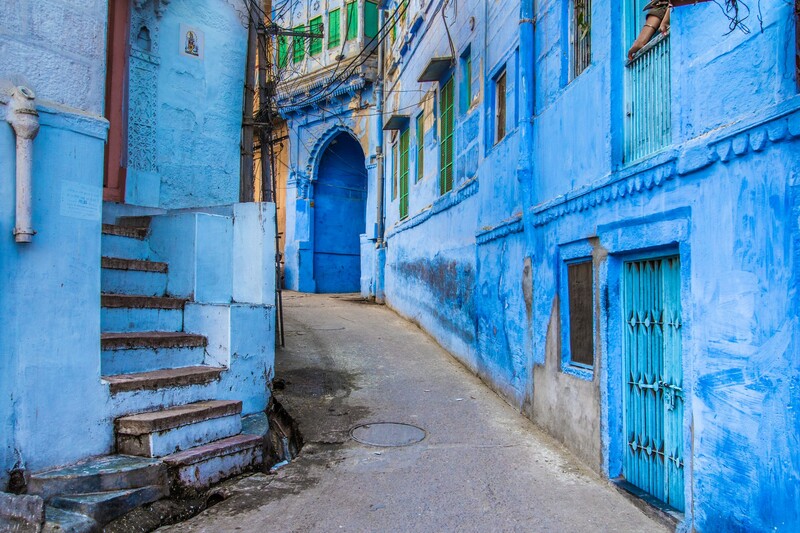 Stroll the blue washed streets which earn Jodhpur the name ‘the Blue City,’ and experience the busy Sardar market surrounding the historic Clock Tower landmark. 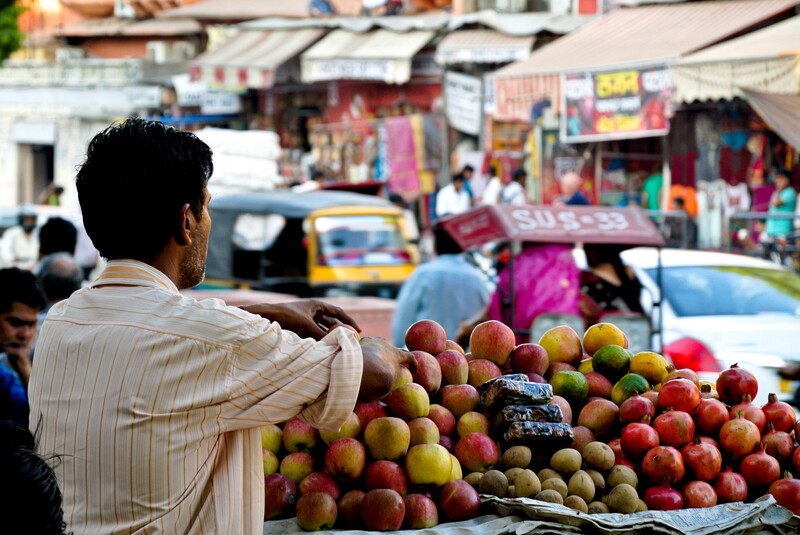 The market is a good place to look for handicrafts, textiles, silver and spices. 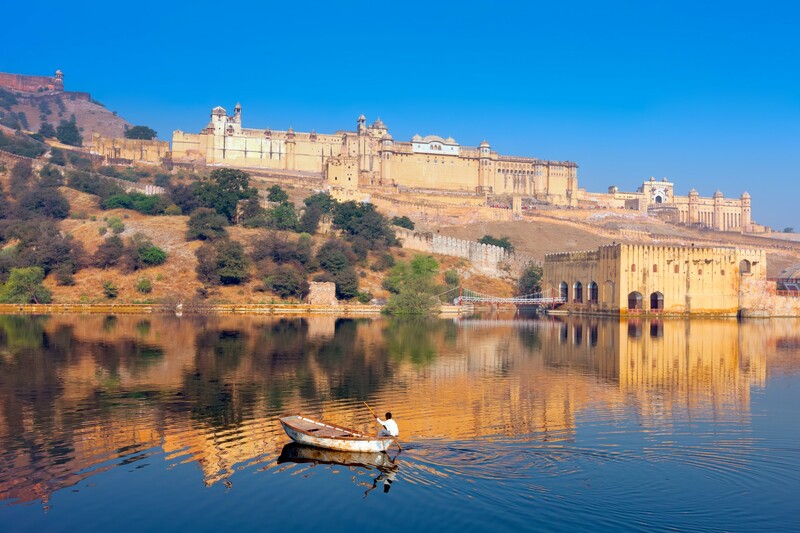 The capital of Rajasthan and its largest city, Jaipur is an elegant city with a clutch of rose-tinted historic palaces, forts and temples. The breathtaking architecture is unified by its pink hues, originating in 1876 when the walled city was painted in honour of the Prince and Wales and Queen Victoria’s visit. 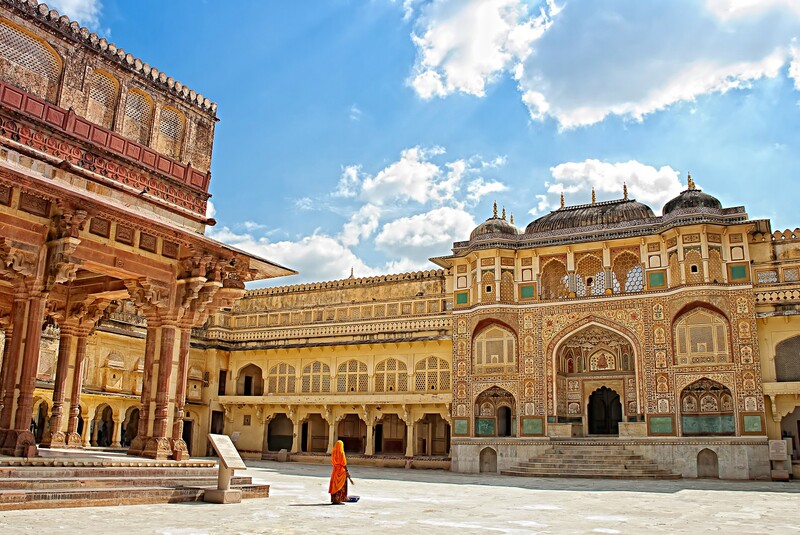 Discover the City Palace complex which is the epitome of graceful Mughal construction techniques, or delve into the shimmering Palace of Mirrors inside the Amber Fort, which was constructed in the 16th Century. This beautiful city is a bit of a photographer's dream. One of India's most spellbinding sights is found on the bank of the Yamuna river in Agra. The ivory marble mausoleum commissioned by the Mughal emperor Shah Jahan as a testament of his love for his favourite wife, Mumtaz Mahal, is known worldwide as India’s most famous building: the Taj Mahal. 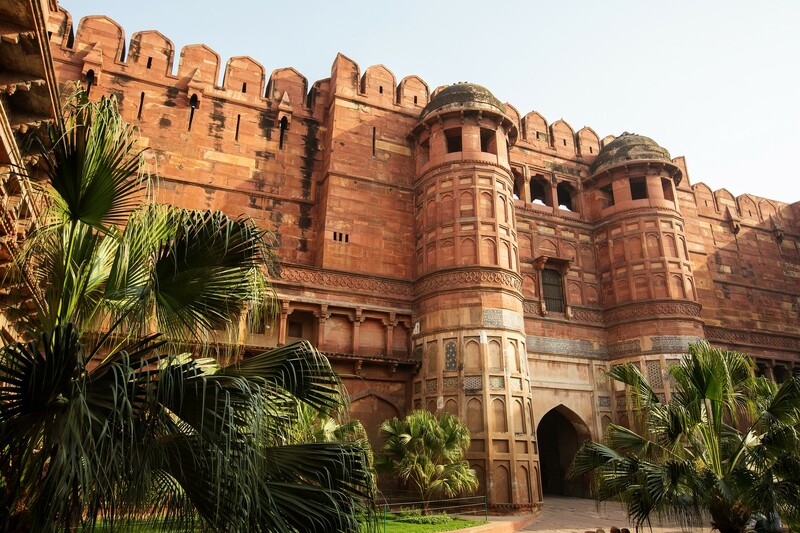 Another enduring example of Mughal architecture is the imposing Agra Fort, constructed from red sandstone and consisting of numerous palaces, ramparts, bastions and towers in the 16th Century. Both buildings are truly spectacular and well worth an explore. 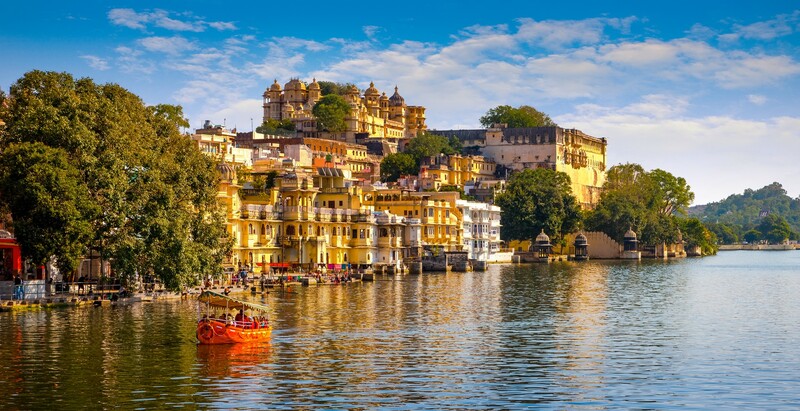 Lake Pichola is the largest of the three lakes which are the focal point of the city of Udaipur, one if India's most scenic and romantic destinations. Enjoy the enchanting views of the city and its surrounding hills, the Jag Mandir island palace that seems to float on the water, and the serene gardens at Sahelion ki-Bari complete with pools, pavilions, lawns and elephant fountains. Explore the Lake Pichola by boat and see the bathing ghats around the shore as well as Udaipur's magnificent lakeside monuments reflected in the water. India's second largest city is the capital of West Bengal and retains strong impressions of its imperial past. 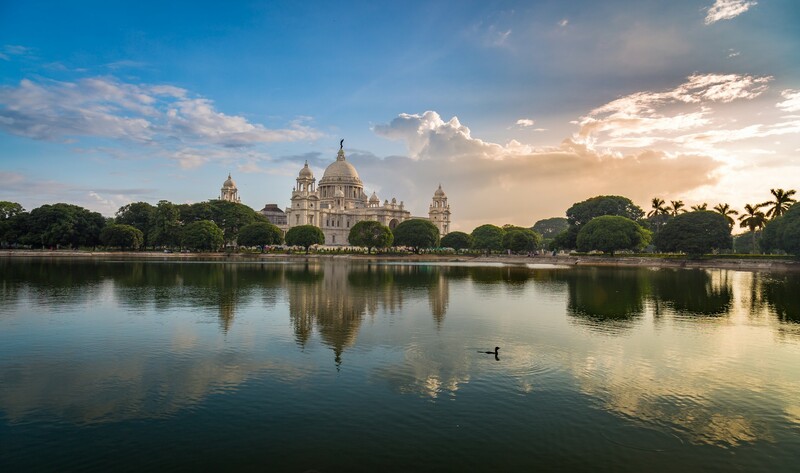 Enjoy a tour of the Victoria Memorial, one of the most significant relics of the era of the Raj where there are numerous historic paintings and statues from that time. Kolkata’s roots as a fishing village on the banks of the Hooghly river are thoroughly hidden by the sprawling modern city, but the open spaces of Maidan Park and the charm of a sunset boat trip give you a glimpse of the past. 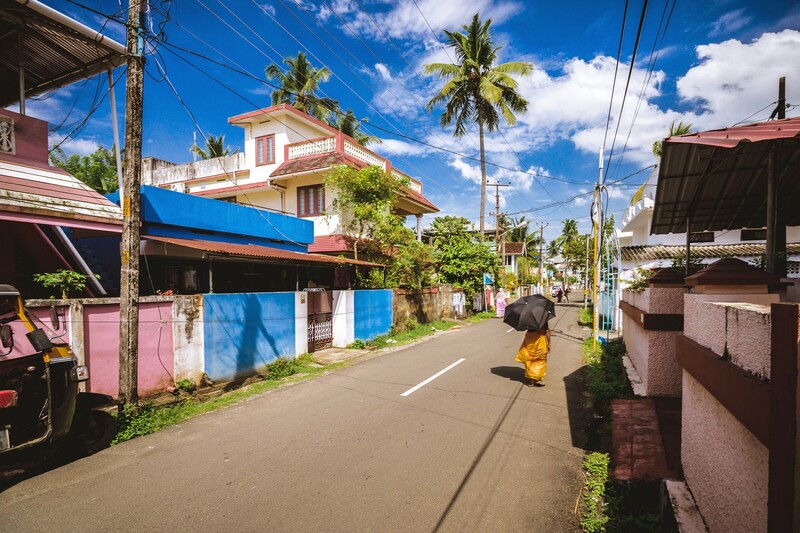 Known all over India as Cochin, Kerala's gateway city is a charming and exciting mixture of waterways, historic port districts and an attractive jumble of architectural styles. Portuguese, British, Dutch, Chinese and Indian influences are all present and correct, and there are plenty of historic sites to discover. The Mattancherry Palace is an interesting glance back to the Portuguese presence in the 16th century, with later Dutch embellishments. The Jewish synagogue is another notable 16th Century monument which boasts sumptuous interiors. 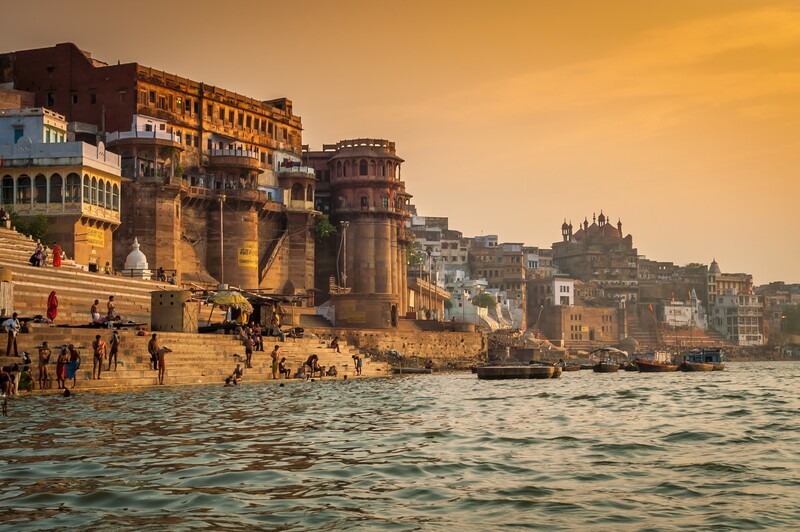 A spiritual hub with some incredible traditions and a far reaching history that ranks it among the longest inhabited places in the world, Varanasi has a deep connection to its location on the river Ganges. 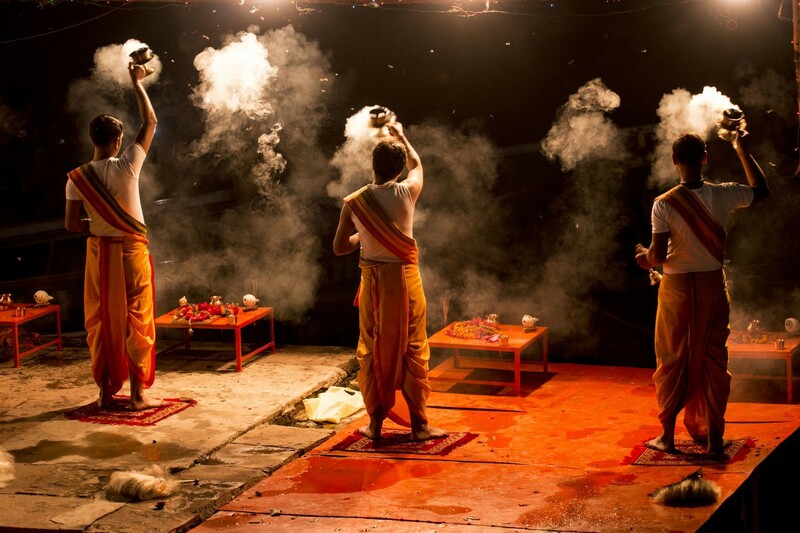 This is a city where India's complex mosaic of faiths and culture is on show. The Ganges is sacred for Hindus and Jains and you will witness many rituals connected to the river during your time here. Enjoy a sunrise boat trip on the Ganges and see the mesmerising aarti ceremonies that take place in the evenings at the riverside ghats. Our trusted local Indian experts know all these destinations inside out, and can bring them to life for you with that extra local insight. Contact them today to see how they can tailor make your India itinerary to suit your preferences and priorities. To speak to someone in the TravelLocal office please call +44 (0)117 325 7898.